Samsung announced One UI just about a week ago during the Samsung Developers Conference where the Korean Giant also gave the crowd a sneak peek of what it’s upcoming foldable would look like. 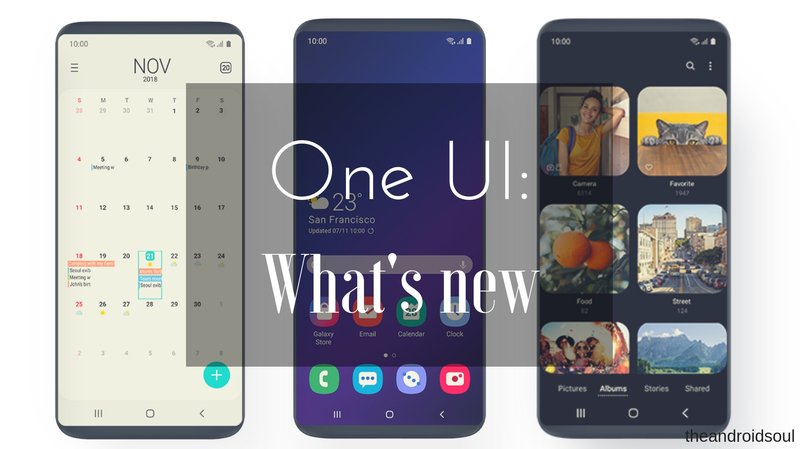 Samsung had announced the One UI Beta update would go live on November 15 and it certainly did. The One UI Beta update is now live and is being seeded out to Galaxy S9 and S9+ users who registered for the update via the Samsung Members app or Samsung+ app. As of writing this article, the beta update is only available in the US (Sprint and T-Mobile) and South Korea. One UI is a major overhaul of what the software experience used to be like with past Samsung skins over Android, most of which were absolutely buggy and packed to the brim with bloatware and unwanted applications and weird UI designs. 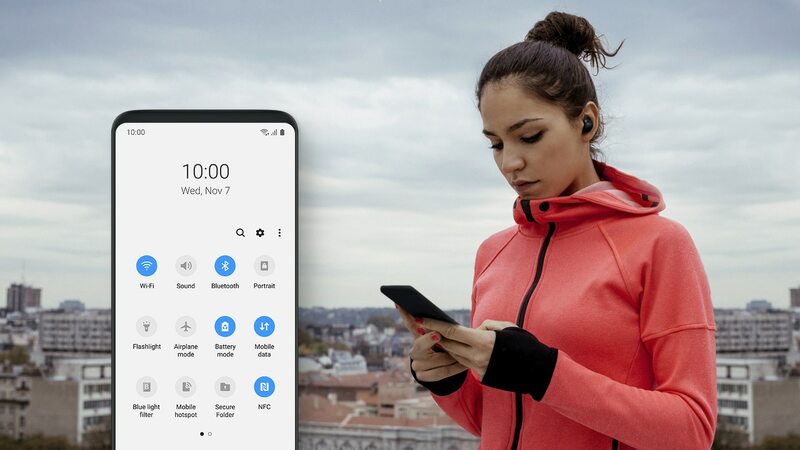 Fortunately, Samsung is on a course correction and now with One UI the company aims to make using a smartphone easier with one hand as well as improving certain UI elements to look more modern and minimal. Here’s everything new with One UI. As the name, ‘One UI’ suggests, the new user interface is specifically designed to be more comfortable and easy to use with one hand only. In most default applications and menus, the interactive portion of the application has been shifted towards the bottom of the screen for easy accessibility with one hand. This makes it so much more convenient when trying to operate your smartphone single-handedly. The tabs in most Samsung applications are now at the bottom of the screen rather than the top. Even the notification panel has received a complete redesign since swiping down the notification panel twice now brings the notification toggles all the way to the bottom and covers the whole display. Given that Samsung flagships now come with over 5.8-inch displays this new UI choice makes a lot of sense so users won’t have to perform gymnastics with their fingers trying to reach a notification toggle right at the top of the screen. While most of us are focused mainly on the changes One UI brings towards the software experience, it’s also worth pointing out that the new update is based on Android 9 Pie. This means that users would be able to use all Android 9 Pie features as well with the update. If you’re interested in checking out all the new features that were introduced with Android 9 pie, then check out our article on Android 9 Pie: All you need to know. 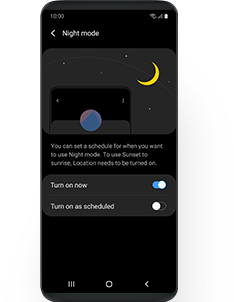 Finally, Samsung decided to include a system-wide ‘Night Theme’. The theme now changes all system UI elements and makes them dark, even the notification cards. 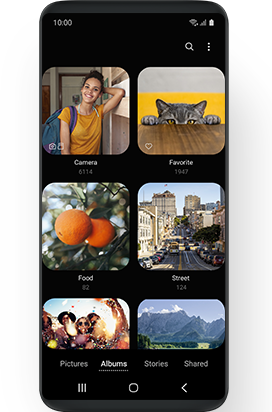 Prior to this, users had to rely on dark mode themes available in the Samsung Theme store, however, these themes did not completely turn all elements dark. With the new UI, Samsung is finally changing most of the default icons to be more minimalistic and a tad bit cartoon-ish with the corners rounded off. These new icons do not change much of the overall experience, however, it’s still worth noting. The Samsung Keyboard is receiving a major update too with the One UI update. The keyboard will now feature new Unicode 11.0 emojis as well as an adaptive theme which changes the keyboard color based on the application you are using. Users also have the option to use a floating keyboard in all applications. Samsung has added a few new clock styles with the new update and now gives users the ability to show a calendar with their schedule on the AOD. Users can now see the time left for the device to fully charge on the AOD too. This isn’t entirely a new feature since Samsung introduces the feature on the Galaxy Note 9, however, now the feature would be available for Galaxy S9/S9+ devices as well after installing the update. The Scene optimizer works similarly to Huawei’s AI Scene enhancer and other OEM’s ‘AI optimize’ features for the camera. Feel free to join in the conversation with that new feature you just discovered in One UI in your comments below.